Rory McIlroy joked that he feels sorry for Tony Finau in backing changes to the Rules of Golf that came into affect on 1st January, 2019. Among the rules changes it is now legal to putt while on the putting surface with the flagstick in the hole and you can also tap-down spike marks that may be in your line of putt. But in one of the more bizarre changes, one that could easily lead to all forms of interpretation, players will now have to take a penalty drop by dropping the ball from knee height in contrast to dropping from shoulder high. McIlroy was asked his view of the changes ahead of making his debut in this week’s Sentry Tournament of Champions in Hawaii and while supporting the changes, that also include a ruling that you now ‘play when ready’ rather than wait for any playing behind you to play their shots, he spared a thought for lanky American Tony Finau who stands all of 6-feet, 4-inches. “The changes might help pace of play a little bit but it’s going to be very strange for guys to tap down spike marks, to tap in with the pin in,” said McIlroy. However, McIlroy revealed he was not one bit interested attending a ‘voluntary’ meeting of all playes competing in Hawaii that was arranged to discuss the changes. 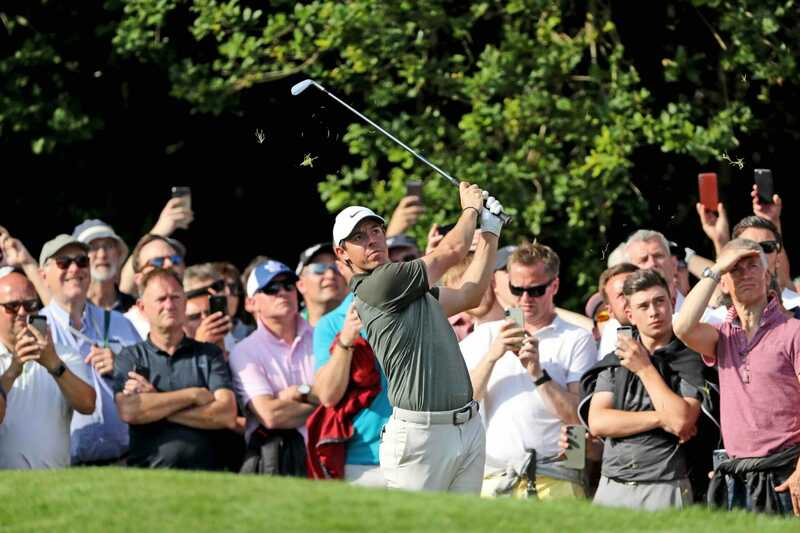 “That rules meeting was voluntary and I voluntarily didn’t go,” McIlroy laughed.